Wedding Villas are the perfect venue for ultimate exclusive, luxurious surroundings. As Thailand becomes increasingly popular as a tourist destination, the hospitality sector in the country are expanding to meet the growing demand. However, while Thailand is home to many internationally recognised hotel brands, even the most luxurious hotel loses some of its charm when it is overcrowded with guests. It is for this reason that more tourists are seeking the ultimate exclusive, luxurious surroundings in which to enjoy their time in the Land of Smiles. 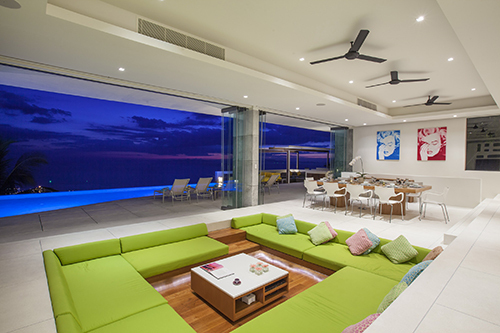 Namely, a private villa. While a number of private villas already exist in more developed tourist hot spots, there are also plenty of private villas located away from the more crowded tourist areas to accommodate guests who want to make the most of secluded surroundings within the lush Thai jungle. Many private villas also come with their own dedicated team of staff including cleaners and a personal concierge who is able to assist guests in organising car hire, taxis and excursions. Some of the best rental companies also offer a private chef with the villa for guests to enjoy meals prepared at their home away form home. 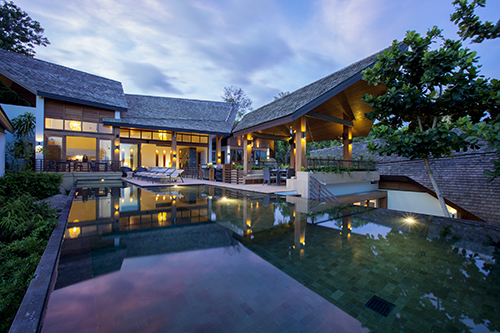 It is the high standard of facilities and services on offer that make Thailand’s private villas increasingly popular as venues for the couples in search of the ultimate destination weddings. Villas minimise the risk of other guests intruding on the private celebrations, and the bride and groom and their guests can party around the pool as late as they would like to, without having to worry about disturbing other hotel guests. 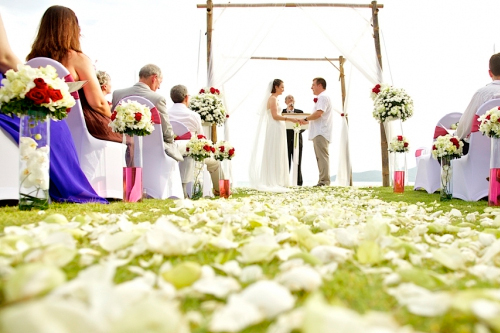 Furthermore, wedding planners are able to work with couples to create more bespoke ceremonies within the exclusive surroundings of a private villa. Decorations can be tailored exactly to what he bride and groom want. IN fact, many couples opt to decorate their private villa with traditional flowers like orchids and frangipanis, which add both colour and a sensual aroma to the celebrations. By holding weddings in a private villa, couples also have more choice when it comes to the entertainment they want at their wedding. Guests can dance around the pool until the small hours to a local DJ organised by the wedding planner, or enjoy the sparkling performances of one of the island’s fire jugglers. All in all, the exclusive surroundings of a private villa allow couples to personalise their wedding day to a degree that wouldn’t be possible in the most hotels. What's more, couples don’t need to worry about any of the arrangements, as all the "heavy lifting" can be done by a dedicated wedding planner.